New Delhi, March 21: The Bharatiya Janata Party (BJP) on Thursday released its first list of candidates for the ensuing Lok Sabha polls. The BJP released the list on the auspicious day of Holi.Prime Minister Narendra Modi will contest from Varanasi in Uttar Pradesh while BJP president Amit Shah will contest from Gandhinagar in Gujarat. Union Ministers Rajnath Singh, VK Singh and Nitin Gadkari will contest from Lucknow, Ghaziabad and Nagpur respectively. 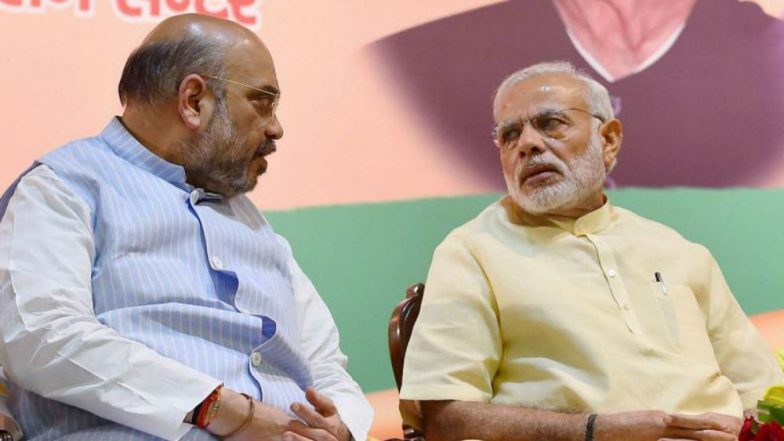 BJP 1st List of Candidates For Lok Sabha Elections 2019 Out: Narendra Modi, Amit Shah, Rajnath Singh Among 184 Candidates Named; Check Constituency-Wise List Here.